My student days have come to an end, and I now have to decide what I want to do with the rest of my life... Hmm yeah we'll leave that for now and concentrate on Superdrug Hauling Thanks. 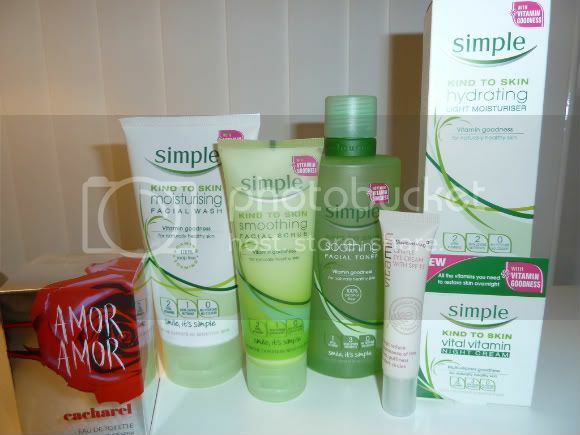 So heres what I picked up today in Superdrug. I've been using my Neutrogena Skin Care Routine and Clean and Clear Moisturiser for years, and to be totally honest, I'm always looking for something new. I'm fed up of spending a fortune on trying high end skin care for it to be well, a bit pants really. 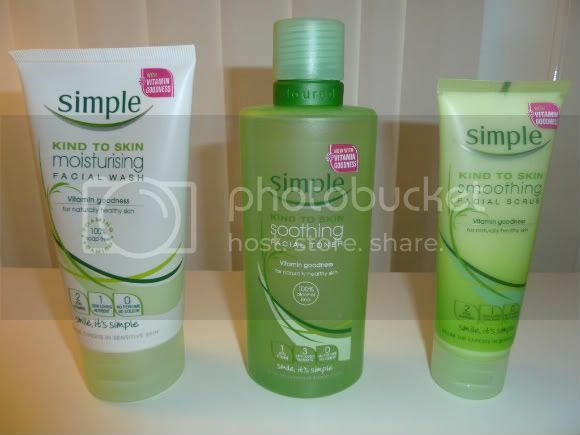 I've heard alot of good things about Simple Skincare, so today I picked up more or less the full range give or take a few products. The price of these products is fantastic, with each item costing between £2-£5. I will be reviewing these products in a couple of weeks time when I've given them a proper trial, soft smooth skin will be mine! The eye cream I picked up was about £2, I'm not expecting miracles, but a little old lady told me today in Superdrug, I need to start young and buy an eye cream. Who was I to disagree? So I promptly picked up the Vitamin Gentle Eye cream with SPF 15. 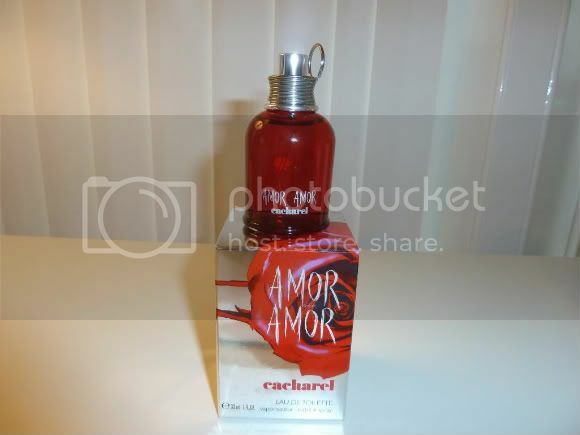 I also picked up the Amor Amor Perfume, its currently on offer for £12.99 which is an absolute bargain. I had a bottle of this bought for me as a gift when I was younger, and its one of those perfumes you absolutely love but forget all about. I really love this scent, and for the price its a bargain! I would highly recommend you pick this up whilst its on offer. Oh I'm so happy to be back on form! I've really missed blogging, and well life in general. Let life as I remember it resume. Glad to see you back here Kelly. 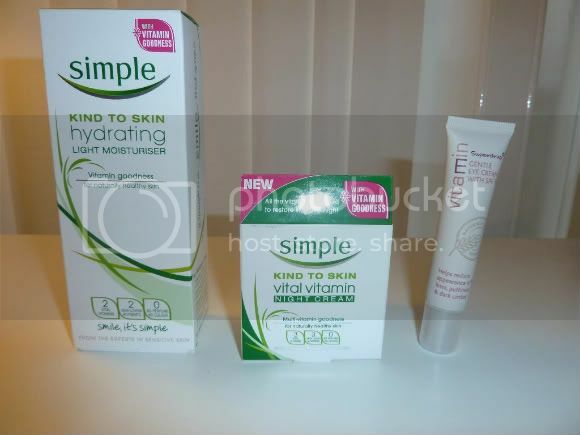 I love Simple skincare... I've just taken a break from it to try Neutrogena! Ah thanks for alerting us to the Amor Amor special offer; I love it! Hahaha did the woman just randomly come up to you and start talking about eye cream? Hope you like the Simple stuff! I've never heard of this brand, it sounds great! Glad to see you back blogging, and yes we did miss you! <3 And a huge pre-congratulations to you for finishing school! That is such a huge accomplishment! I should finish a year from now, and it couldn't come soon enough :) good luck with your last exam! The Simple toner is nice, I used that for a while a few years ago. I HATE that Amor Amor perfume! I was given a bottle and recently threw it away. It had only bene squirted once!! Had I known you liked it, I'd have sent it over. 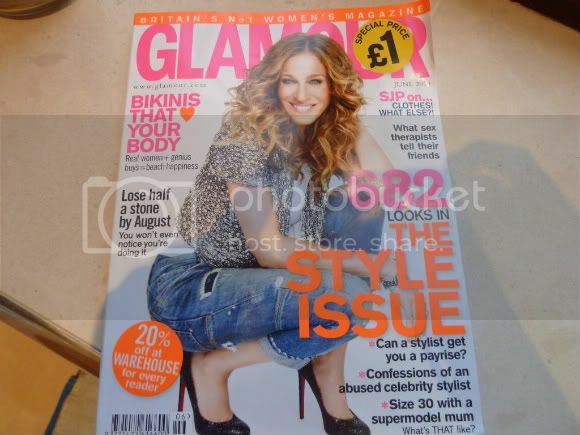 I love Superdrug you get some fab deals and what a great deal for glamour mag have to go and pick up one fo them.